How Do You Onboard a New Client? 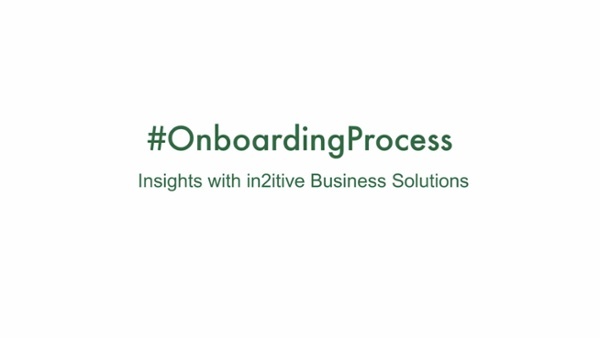 in2itive’s onboarding process is something that we do often—we’re experts! Bringing new clients on is a simple, easy process. Typically, it takes anywhere from 60 to 90 days to onboard a new client, but we could do it as quickly as 30 days. We’ve even had some clients that needed our help immediately, and that’s ok. We’re flexible. We’re in2itive. Together we look at in2itive’s processes and your surgery center processes. Collectively we combine those processes and provide a solution that fits well for the billing of your surgery center. Our Directors have oversight on all aspects of the revenue cycle and also helps manage your medical billing team. Our Revenue Cycle Managers act as a liaison between your surgery center and the billing office. Our Medical Coders review all documentation, codes, procedures, and diagnosis. Our A/R Specialists post insurance and patient payments to patient accounts. Our Billing Specialists electronically enter charges and submit claims to the insurance company. Our Patient Account Reps collect patient responsibility and answer any questions that the patient might have. Usually within the first 3 to 6 months you’re going to see a change in your bottom line, an increase in your bottom line, and overall improvements in your revenue cycle. It takes 2 to do so many things and it takes at least that many to manage the revenue, billing and claims processing for your healthcare business office. That is where in2itive comes in. Why Consider Outsourcing Your Revenue Cycle Management?